Is Wooclap free for K12 teachers? Find out how to access the free version for K12 schools. Wooclap has been free for K12 teachers to use since late 2018. If that includes you, here's how to access the free version. Please read the instructions before creating your account. Should you already have an account, please get in touch with us. and your school is not listed as an institution of higher education. 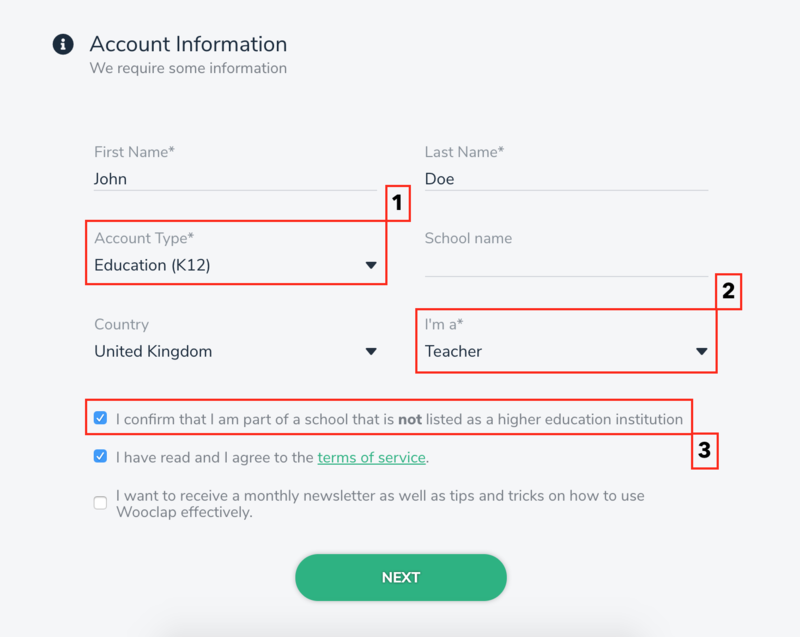 Once you've filled in the required information, click "Next" and you'll be granted free access to the entire platform. Ready? Create your account here!